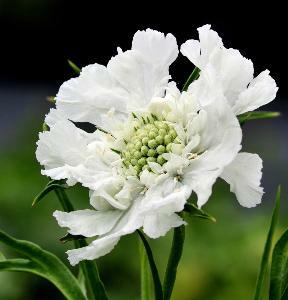 Scabiosa caucasica 'Perfecta Alba' is commonly known as ' Pincushion flower'. 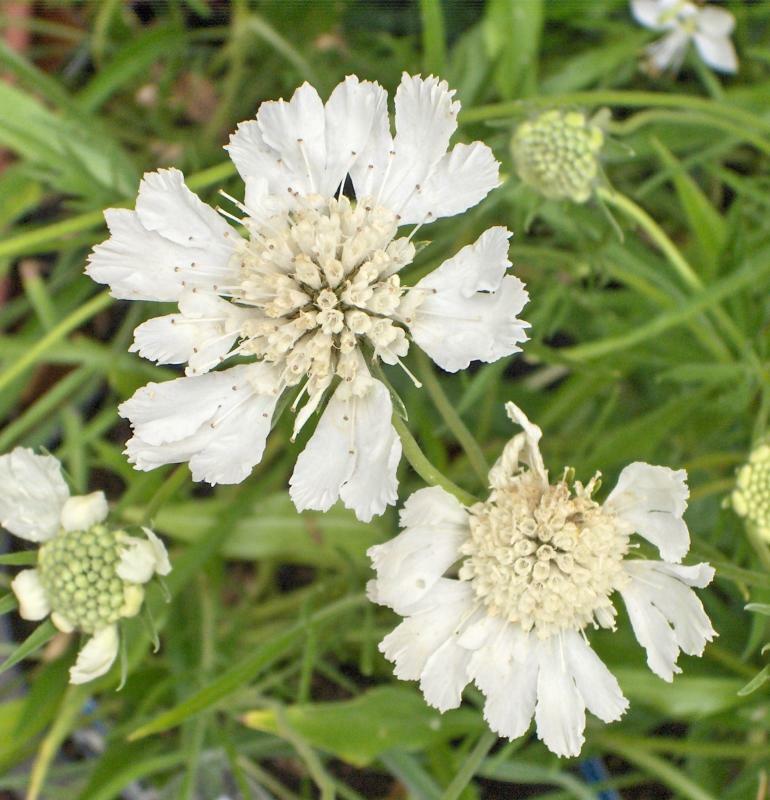 A clump forming perennial with lance shaped, grey- green leaves. Erect stems produce large, ruffled, white flowers that are perfect for cutting. Flowers late summer into the autumn. 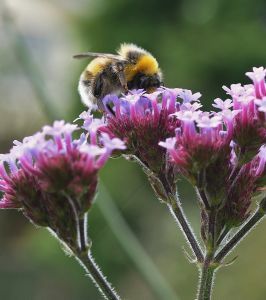 A delightful border plant that attracts butterflies. Prefers full sun in a moist, well drained soil. Hardy. Height 0.6 m, spread 0.5 m. Supplied in a 9cm pot.